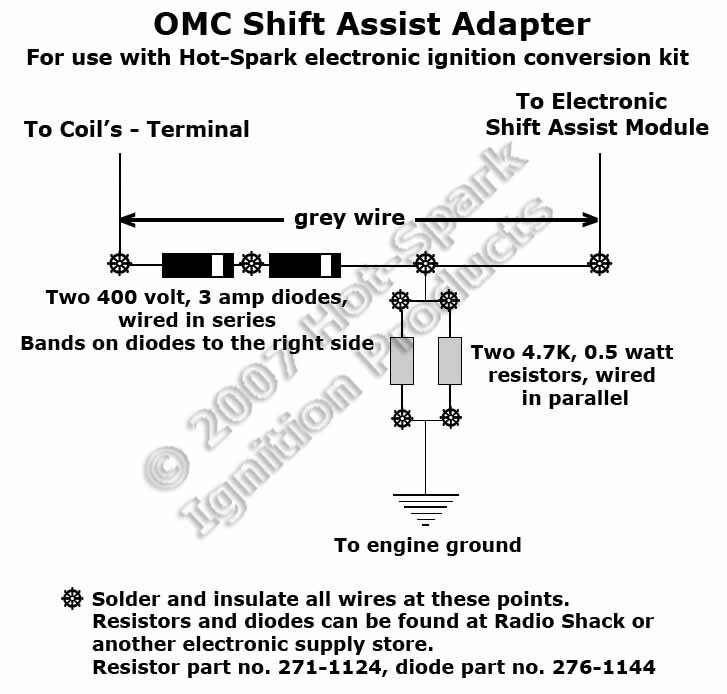 The Hot Spark electronic ignition conversion kit replaces breaker points and condenser in the distributor to provide rock-solid reliability. With the Hot Spark electronic ignition, dwell and timing are always spot-on accurate. 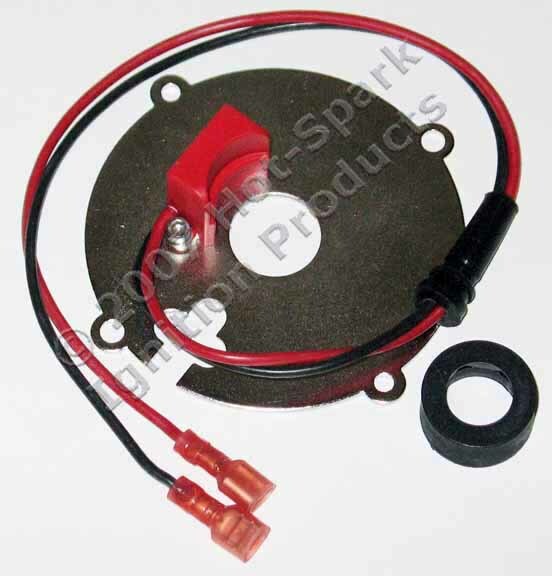 The Hot Spark electronic ignition conversion kit delivers a strong spark every time and is maintenance-free. You'll notice quicker starts, more top end power and a little gas mileage boost. It's as easy to install as points and condenser! For aluminum-bodied Delco 4-cylinder distributors with screw-down distributor caps and without vacuum advance. NOT for early cast-iron Delco or Delco-Remy distributors. 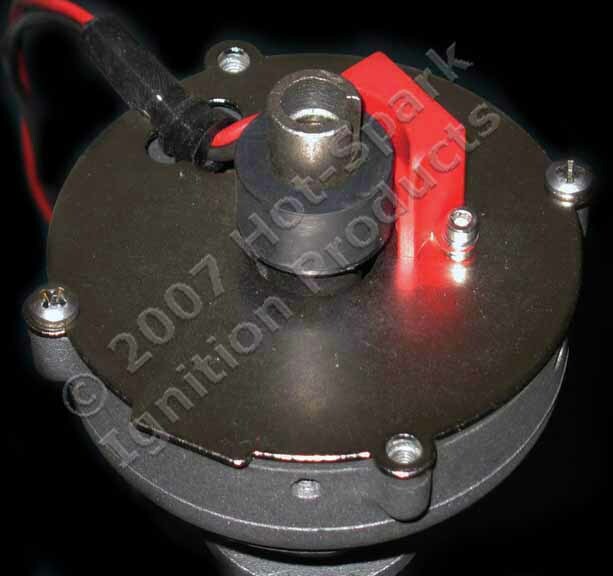 Before ordering, please compare the points and breaker plate of your distributor to the above photos of breaker plate, points and distributor to make sure that this ignition kit is the right one for your distributor. If your distributor has a vacuum-advance mechanism, this ignition kit won't fit it. Our electronic ignition conversion kits are not "one-size-fits-all." Your engine could have any number of different distributors. We'll need the number of cylinders and the brand and part number of your distributor to determine which ignition kit would fit it or whether we have an ignition kit for it at all. Supplying just the make and model of vehicle or engine is usually not sufficient to determine which ignition kit will fit. The Delco part number is stamped into the side of the distributor body, and is usually covered with dirt and grease. Please note that SAE J1171 and UL 428D are NOT distributor part numbers, but simply US Coast Guard standards that many completely different distributors meet. These numbers are of almost no use in determining which distributor you have or what ignition kit you need. 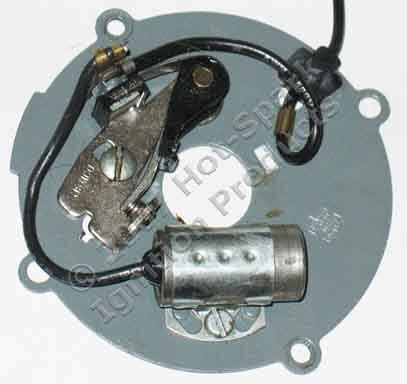 Usually, the Delco distributor part number will be on the opposite side of the distributor body. Texas residents please add 8.25% state sales tax. Ideal for Use with Hot Spark Electronic Ignition Conversion Kits with red 3-series ignition module or for use with breaker points. 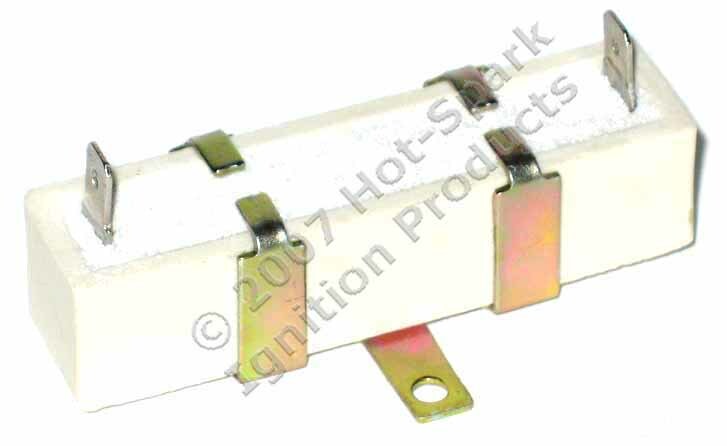 Produces strong, blue spark when used with Hot Spark red electronic ignition conversion kits (red ignition module).